Pare de tomar a pílula!// Stop taking the pill! Most people associate protest music during Brazil’s dictatorship (1964-85) with MPB singers like Chico Buarque, Geraldo Vandré, and Elis Regina. But even songs like this one, from the brega (corny, cheesy, lowbrow…) genre — an over-the-top romantic style from the northeast — were vehicles of resistance. Composers of brega ballads critiqued racism, social inequality, and the social conservatism of the regime, and advocated for things such as the legalization of divorce (only passed through a constitutional amendment known as the “divorce law” in 1977). Their songs represented a major channel for political discourse among Brazil’s poorest populations. The song was catchy, irreverent, and amusing, and was a runaway hit. After a while, the military regime’s censors caught on to the ruse and did not find it amusing: the song was banned and the discs were taken out of circulation. Like Chico Buarque, who continued to perform banned songs such as “Cálice” and “Apesar de você,” José continued to sing this one at shows. But after a run-in with an angry general who told him, “if you’re not satisfied with the country, leave,” José opted to leave, and went into exile in England. The late sixties and early seventies were the worst period of Brazil’s dictatorship, known as the “years of lead” (anos de chumbo). Things began to change in 1974, when General Ernesto Geisel took office as president. More moderate than the hardliners who had ruled since ’67, Geisel began a gradual liberalization program known as “distensão,” which sought to slowly reintroduce some (uncertain) degree of political liberties. Under that aegis, the mid-seventies saw a loosening of censorship and repression, and Odaír José returned to Brazil. His song, meanwhile, experienced a resurgence of popularity in the mid-nineties, when it was the unlikely soundtrack for a C&A department-store commercial that aired throughout Brazil; legions of teenage boys began singing it again, with no clue as to its original context. Main source for this post: Eu Não Sou Cachorro, Não, by Paulo César Araújo. Que é que você troxe na marmita, Dito? // What’d you bring in your lunch box, Dito? E você beleza, o que é que você troxe? // And you, beauty, What’d you bring? Da minha Tereza! // From my Tereza! Que lá em casa não sou só eu // That it’s not just me at home! Adoniran Barbosa with the vocal group Demônios da Garoa, who were the first to record and popularize many of his songs. I translated “Saudosa Maloca” to show some of my students so decided to take advantage and make a post out of it! That group’s role in popularizing Adoniran’s sambas has generated some controversy in recent years, as members of the present-day iteration of the group have claimed that Demônios was responsible for inventing the “‘narfabeto” (illiterate Italian-inflected) style of singing that Adoniran became famous for. The 1951 recording reveals there is little truth to that claim. Both of these songs address the rapid expansion of urban Brazil — specifically São Paulo — in the early to mid-twentieth century, and the hard lives of those who built the city but had trouble finding a place in it. Italian immigrants at a shelter in São Paulo c. 1890. Most immigrants passed through these special shelters before continuing on to coffee plantations. Image via Wikimedia Commons. As this earlier post explains, Barbosa was born João Rubinato in 1912 to Italian immigrant parents in the interior of São Paulo state. As millions of Italian immigrants arrived in the United States between 1870 – 1930, about 4 million more went to South America. Most went to Argentina, but approximately a hundred thousand (exact numbers are hard to come by) disembarked in Brazil. Most of these families, including Barbosa’s, first settled in rural areas to work on and around Brazil’s booming coffee plantations. But as the themes of Barbosa’s songs highlight, most soon ended up seeking better economic possibilities in growing cities. Italian immigrants selling fruit in the Mooca neighborhood of São Paulo, 1920. Image via Museu da imigração. As mentioned, Barbosa was famous for composing and singing in the Italian-inflected rural style of speech he grew up with, which is still common all around São Paulo, especially in the rural interior of the state. I’ve put those words/phrases in bold in the original Portuguese lyrics; it’s things like pronouncing an “r” in place of an “l” (e.g. “armoçar” instead of “almoçar,” to have lunch) and mis-conjugating verbs (e.g., “fumos” instead of “fomos,” we went; “se conformemos” instead of “nos conformamos,” and “nois pega” instead of “nós pegamos.”) I hope that gives a picture. In a few places I’ve tried to translate into parallel English to add a little of that flavor. “Maloca” is a pretty hard word to translate. The word originally referred to an indigenous communal dwelling, and can connote an improvised dwelling and the concept of “home.” In this song, I believe it refers to something like squatters’ quarters, set up in the old house that gets torn down. I haven’t been able to come up with any word in English that would carry all of the same connotations without giving an idea of much greater luxury than “maloca,” so I’ve just left it translated as hut, and “quarters” in one place. The phrase “fazer o quilo” is, according to the Internet, a popular corruption of “fazer o quimo,” which refers to chymotrypsin, a chemical responsible for digestion. In the mid-twentieth century there was a tremendous amount of construction in the centrally located neighborhoods of São Paulo known as Jardins (Gardens): Jardim Paulista, Jardim Europa, Jardim America, etc. Those neighborhoods quickly became some of the city’s wealthiest. In the line “we collect straw in the yards of the garden” (i.e. work clearing yards), “garden” probably refers to that construction boom. A final note on that song: an enxadão is a hoe. Here it might be referring to some other similar tool from a construction site, but I’m assuming the lyrics mean that a boss struck the time using a hoe (or similar instrument) so that the sound would reverberate across the construction site. Belchior’s 1976 album Alucinação was one of the most important albums of that decade — one of the richest in the history of Brazilian popular music — and remains tremendously popular and relevant today. It was Belchior’s second studio album (after A Palo Seco, 1974), and the Brazilian public devoured it; the album sold over 30,000 copies in the first three weeks after its release. Belchior’s death in 2017 coincided with a parallel climate of anxiety. The end of Brazil’s optimistic socioeconomic boom years (~2005-12) culminated in the 2016 impeachment of left-leaning president Dilma Rousseff — Brazil’s first female president — and the rise of authoritarian politicians like the country’s president-elect (to be inaugurated tomorrow, at writing), the far-right retired army captain Jair Bolsonaro. Both the composer’s death and that political turn have brought renewed attention over the past couple years to the messages captured on Belchior’s best-loved album. In Rio, Belchior caught the attention of singer-songwriter Sérgio Ricardo, who, in 1972, launched the short-lived series Disco de Bolso — Pocket Album — with the leftist satirical weekly O Pasquim. The 78rpm series, which unfortunately only lasted two editions, sought to feature a well-known singer-songwriter on one side and promote a relatively unknown composer on the other. The first edition featured Tom Jobim singing his recent composition “Águas de Março” on one side, and the still little-known João Bosco on the other singing “Agnus Sei.” For the “unknown composer” side of the second edition, Ricardo selected Belchior’s composition “Mucuripe,” a collaboration with Fagner, another singer-songwriter from Ceará who was on his way to becoming tremendously popular. 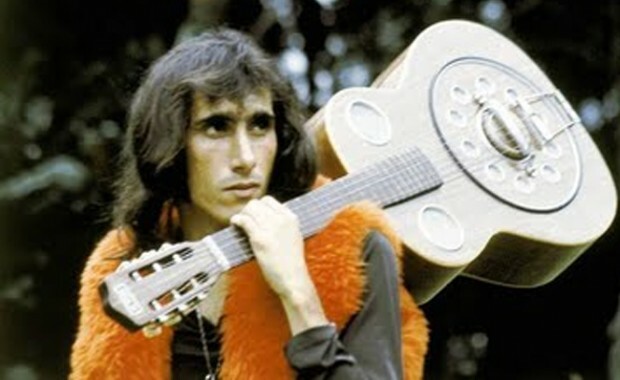 Caetano Veloso recorded the song alongside “A Volta da Asa Branca,” by the northeastern star Luiz Gonzaga. Elis Regina, one of the greatest voices of Brazilian popular music and one of its most talented curators, took a liking to “Mucuripe,” and released it on her 1972 LP Elis (along with Jobim’s “Águas de Março”). Regina would go on to popularize two of Belchior’s compositions from Alucinação: “Como Nossos Pais” and “Velha Roupa Colorida.” The latter song was a call for the counterculture crowd to shed its time-worn “peace-love” trappings and take a renewed and more powerful political stance against the authoritarian dictatorship. Raúl Seixas, perhaps the greatest icon of the counterculture, responded to that song with his 1976 “Eu Também Vou Reclamar” (translated on my Facebook page) which ironized the protest song as little more than a gimmick to sell records. Seixas invoked Belchior’s “Apenas Um Rapaz Latino-Americano” (Just a Latin American Guy) explicitly, singing “Agora sou apenas um latino-americano que não tem cheiro nem sabor (Now I’m just a Latin American guy without any scent or flavor). The little feud was in good fun, though, and Belchior went on to record Seixas’s countercultural anthem “Ouro de Tolo” (Fool’s Gold, translated here) in 1984. Belchior was often compared to Bob Dylan for his nasal and rough-edged singing style; his lengthy poetic lyrics; and his tendency to speak, rather than sing, parts of those lyrics. Dylan was unquestionably an influence, but Belchior said his style of singing actually came from the Gregorian chants he grew up with in the Catholic school he attended in Ceará. After the release of his final album in late 2002, Belchior grew increasingly reclusive. He made his last public appearance in 2009, in a show with Tom Zé, and — facing tremendous fines for things like abandoning cars in parking lots — he vanished from the public eye.